Beep, beep! Baby’s behind the wheel! 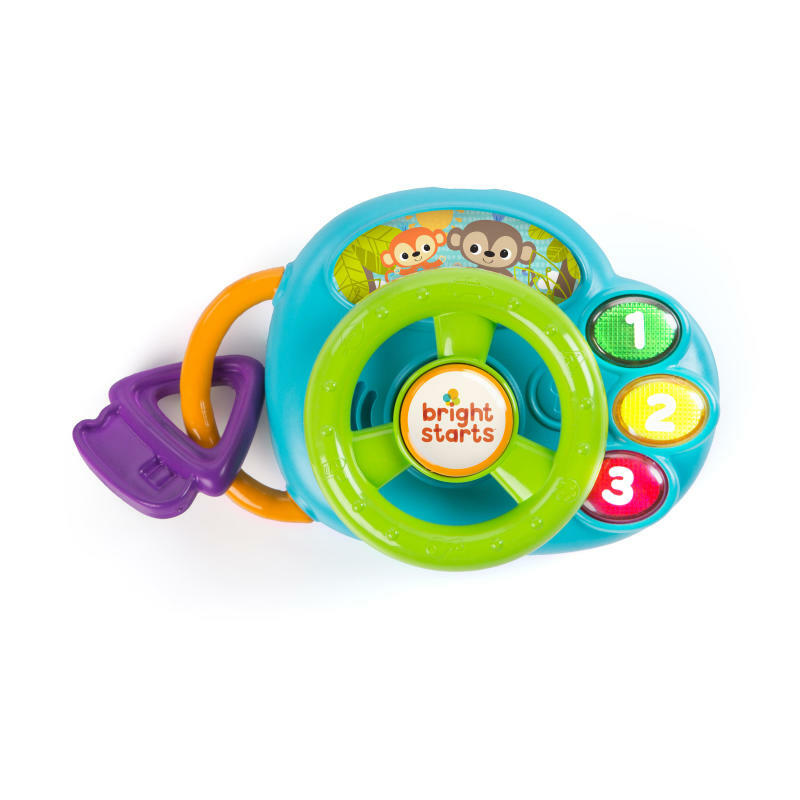 With the Bright Starts Lights & Laughs Driver, your speedy baby will race down the road to fun. Start the engine using the teether keyring, and turn up the tunes with every toot toot — the horn plays six different melodies. Your baby will steer right into her imagination by listening to the sounds of animals and cars. It’s a green light for giggles with so many colorful lights that dance and flash in tune with the music. Once you bring out this toy, there’s no pumping the breaks on fun! Dimension (in) 9.6" x 7.6" x 5.3"